Chandigarh, April 11- The Haryana Chief Minister Manohar Lal today made a bonanza of announcements for Gurgaon. He said that the proposal for setting up a university in Gurgaon will be moved forward and a university will be set up. He was addressing the people in a function organized in Government College for Women of Sector 14, Gurgaon here today. He inaugurated a Multi Purpose Hall constructed at a cost of Rs 7.26 crore in the college premises besides laying foundation stones of another three projects which including construction of new science block and teaching block in Government College for Women and DSD Government College and extension of district library in Gurgaon. All these three projects would cost about Rs 10 crore. In today’s function, the Chief Minister approved almost all the demands put up by the local MLA Umesh Aggarwal. He said that Gurgaon needs a University and the proposal received today will be put in pipe line. A University will be finally set up. On the issue of providing basic amenities to the people residing in 900 meters of Ammunition Depot, the Chief Minister said that the matter is pending with the High Court and the government would put plead on grounds of public interest in the High Court. He assured to connect the old Gurgaon City with Metro facility and announced construction of Cultural Bhawan in Bal Bhawan of Sector 4, opening of Cultural Center on 10 acres of land in Sector 53, widening of Old Delhi Road from local Mahavir Chowk to Dundahera, opening of Library in Sector 56, widening of dividing road of sector 17 and 18, construction of a Community Center in local Pangiri Plant, shifting of meat market to Sector 37, redesigning of three road junctions at a cost of about Rs 780 crore to ease traffic congestion, covering open nala near Baba Prakashpuri Mandir in Rajendra nagar. On the issue of waiving the house tax of 2008 to 2010 period, the Chief Minister said that a policy will be framed for the whole state because this issue relates to all the Municipal Corporations. The Gurgaon MLA Umesh Aggarwal had demanded waiving of the house tax from 2008 to 2010, saying that the government had earlier waived it but imposed it retrospectively which is not correct. He said that the surcharge on the house tax of that period be also waived of and after that, the people were ready to pay the house tax. In his address, the Chief Minister said that focus will be laid on women empowerment during the current year and all the programmes relating to women and girl child will be given priority, whether it is for checking female feticide or improving female literacy. He said that presently the female literacy is at 66 percent and efforts will be made to take it to 100 percent. For this mapping was being done and where ever required schools and colleges will be opened to give impetus to education of girls. 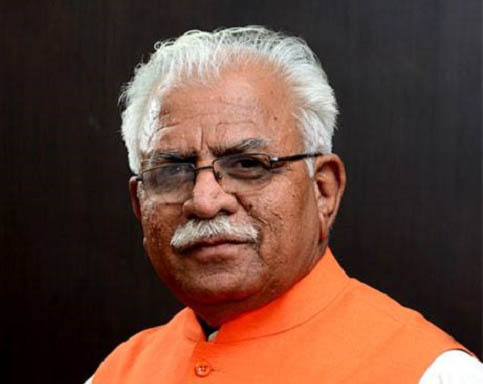 He said that all the government schools for girls would have facility of toilets and for upkeep and maintenance of these toilets, a ‘Haryana Swachhta Kosh’ will be constituted. He said that focus would be on imparting value based moral and quality education and not mere teaching two plus two four. For this, a rapport would be established between private schools and government schools. Lessons from ‘Gita’ and other holy books would be included into the syllabus of schools for imbibing moral values among students. He said that in order to provide pension to the retiring officials of Education Department, e-pension facility has been introduced. He said that at the time when the present government came to power, about 13000 cases of employees were pending. Out of which about 8000 cases have been redressed. He said that after 2016, no student of government will have to sit on the floor because by then desks will be provided in all government schools. At the same time, the Chief Minister said that presently about 10 percent of soldiers in Armed Forces were from Haryana and efforts will be made to increase this representation.